These are all of the natural hairs for wings and streamers. 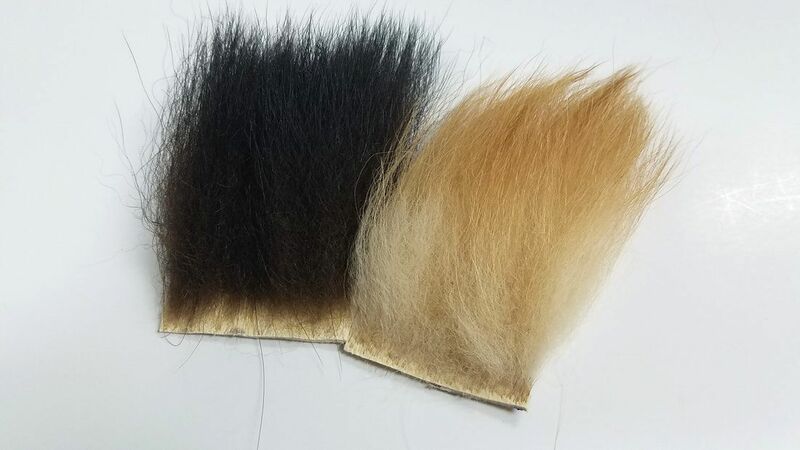 This is real Cashmere Goat hair. they are 2x2 inch pieces in a large color range. This is perfect hair for length in a streamer. Salt water fisherman will love this hair for long slender flies. Black Bear hair is a great streamer material. The hair is perfect for tails on buggers, and wings on sculpins and spey flies. The hair comes in natural and bleached. 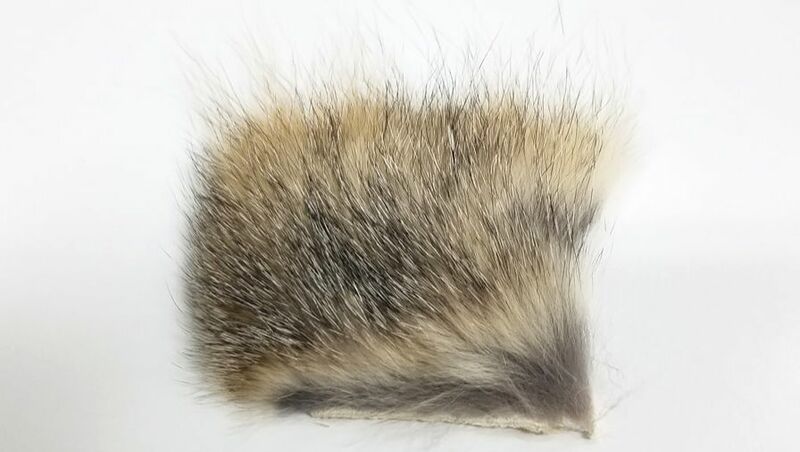 Coyote hair is unique on its own. 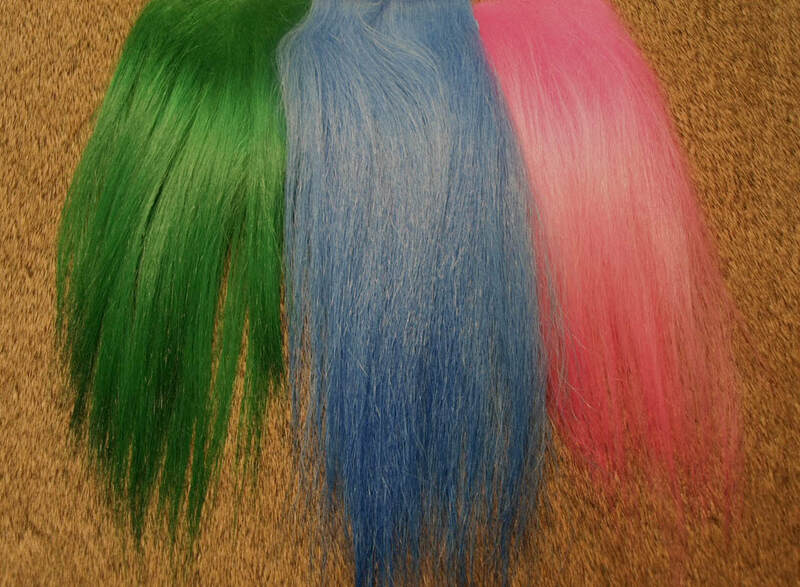 It's specific design and light coloration makes it an amazing hair for streamers. It is used a lot in salt water patterns and mid sized to large streamers. 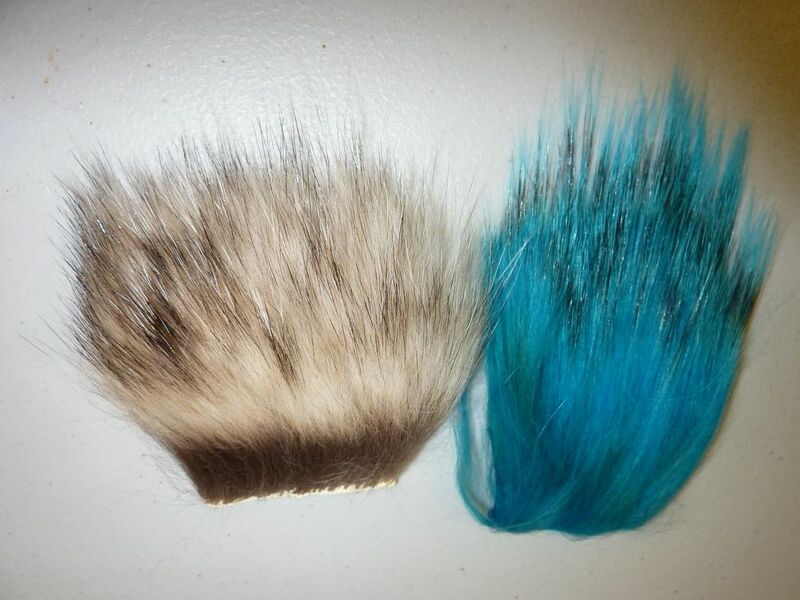 ​Raccoon has a nice dark complexion, and looks good on any hair wing pattern. This hair comes in natural and bleached. 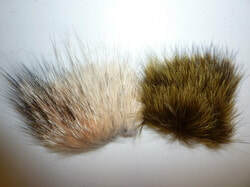 Gray fox is a perfect hair for a mottled look to a fly. With gray and black it really can give a cool salt and pepper look. 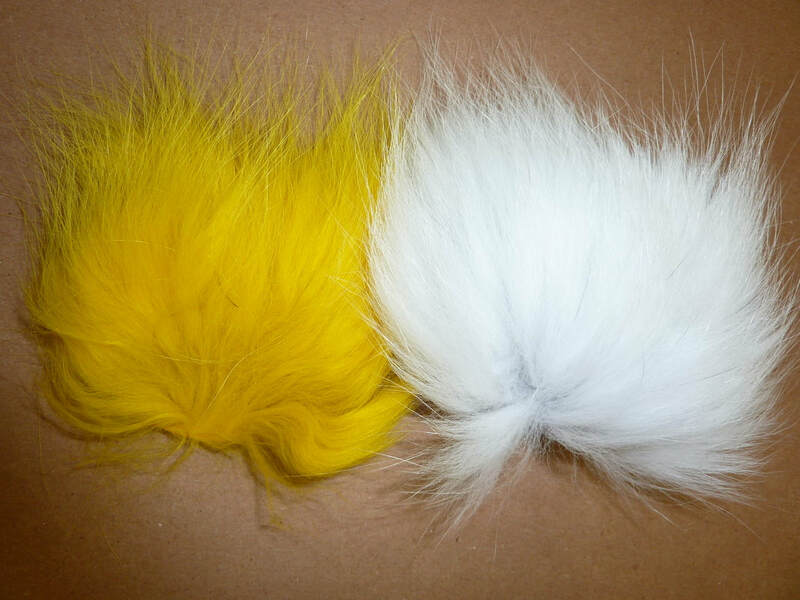 Arctic fox body hair is a great wing and composite loop hair. It is dense with thick under fur and mid size guard hair. 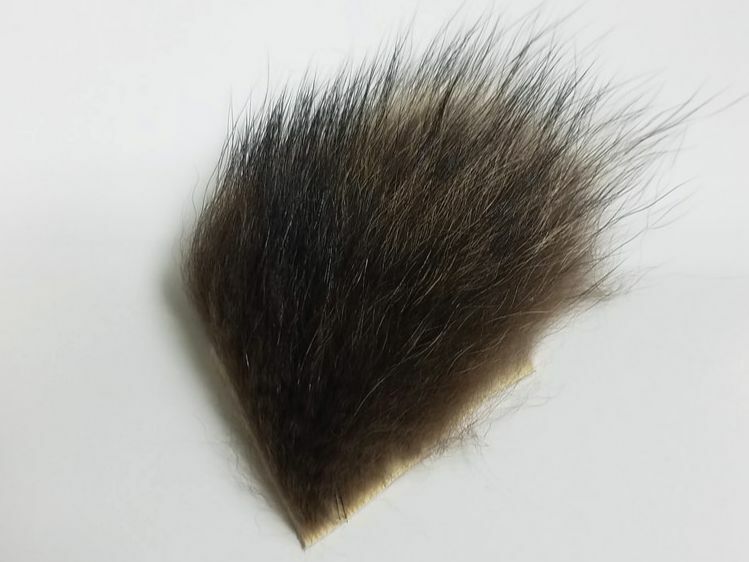 Not as longs tail hair, but perfect for smaller flies. Badger is a nice soft hair for wings and tails. it is a little longer in length giving more versatility when tying bigger flies, or putting it in a composite loop.